It's easy to be overwhelmed by the array of styles, models, colors, and fit of all of the softshell jackets on the market. And why do we need a softshell anyway? Most aren't waterproof and aren't designed to be worn under waterproof outer layers, so what's the point? 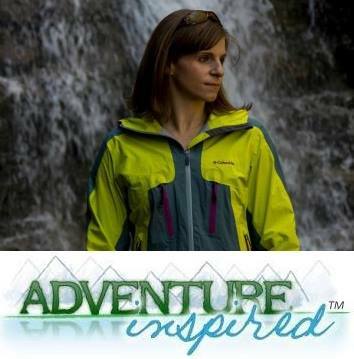 Softshell jackets are fantastic pieces of clothing to have when it's not raining, when you're out and about in town, and when you need an abrasion-resistant but breathable layer for sports like rock and ice climbing. 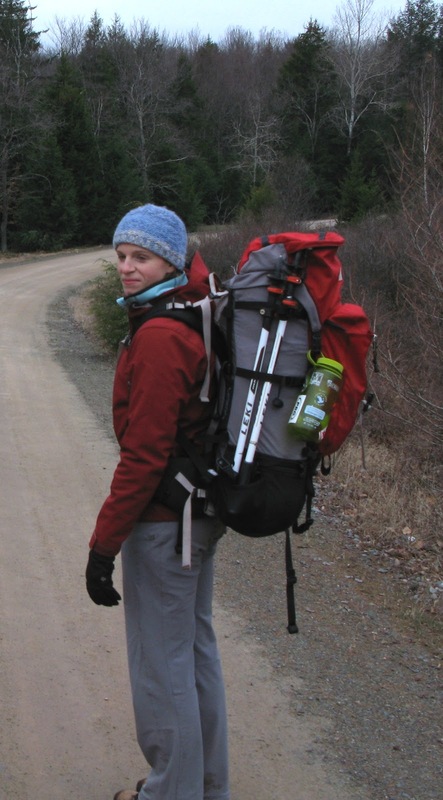 I wear my softshell primarily on walks to work, to the crag and on day hikes, but wouldn't take it on an extended backpacking trip as part of my layering system. You'd think that with so many women's-specific softshells on the market, I wouldn't have trouble finding one that fits, right? Wrong. I looked at a few ill-fitting and too expensive options before finally falling in love with the Outdoor Research Women's Transfer Jacket. The Transfer is made with breathable fleece-bonded stretch woven fabric. It's light weight but soft inside and kept me comfortably warm on 40ºF Philadelphia spring day. The water-resistant exterior keeps unwanted moisture out, but is not meant to completely repel water. You'll need a rain jacket or hard shell for that. I took the Transfer on a 25 minute walk to work in pouring rain and though I stayed dry, I wouldn't expect to be for longer than that in a downpour. Now, if any company can make a jacket that keeps rain from running off the bottom of the jacket and on to my non-waterproof pants, that would be an achievement! Staying warm on a backpacking trip. One of the most frustrating things about hoods is getting them to stay put. There's nothing worse than being caught in the rain and fumbling to get an ill-fitting hood on only to have it slowly slide off. After cinching down the dual pull hood on the Transfer, it stayed put and covered my face just enough to keep the rain off, but allowed my peripheral vision to remain intact. The hand pockets are perfectly placed and a zippered pocket on the left sleeve makes iPod storage a piece of cake. The pocket is great for lip balm and other small objects too! Aside from the perfectly designed and constructed technical features, the Transfer fits like a dream. It hits just below my hip bones, making it the perfect length. Hem adjustment cords make cinching the jacket down on my hips easy. The velcro cuffed sleeves are long enough for my long arms, and the jacket is cut in at the waist just enough to make it flattering. The medium is big enough to layer under, but small enough that I don't look like a giant tomato in it. It moves with me; I can do things in it without having to reposition it every time I move. 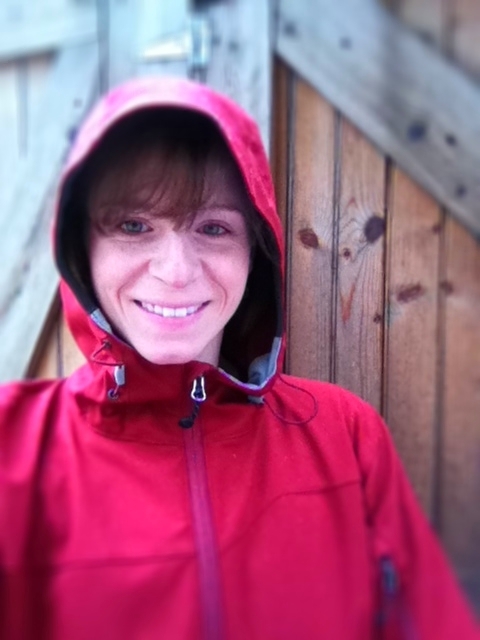 Finally, a gear company designed a technical softshell for women that fits and looks good! The jacket comes in black, cream and "retro red." The red is absolutely perfect. It's not fire engine red; it's an autumnal sort of red. The kind of red where if you jumped into a pile of leaves in the fall, you'd blend right in. I spent the entire first paragraph of my Mountain Hardwear Cohesion Jacket review explaining why red is awesome, but to be honest, I chose the red Transfer because black and white are boring! I bought the Transfer with my own hard-earned cash, and as always, the opinions expressed here are my own. Do you have a softshell you absolutely love? Tell me in the comments! If not, I'm hoping this jacket might be the solution for many of us! Editor's note 12/29/11: I've had this jacket almost a year now, and it's usually the first one I reach for whether I'm off to work or out for a hike. It's just awesome. I love how it looks, how it feels and how it performs. I did take it out in a downpour and got wet, but like I'd mentioned in the original review, it's not waterproof. I'm thinking about treating it with waterproofing at some point, but still recognize the Transfer Jacket isn't meant to be worn in the rain. Regardless, I'm incredibly happy with this purchase.